Timeless. Romantic. Elegant. Wine jellies give your dinner parties a very chic touch even though they’re absolutely easy to make. 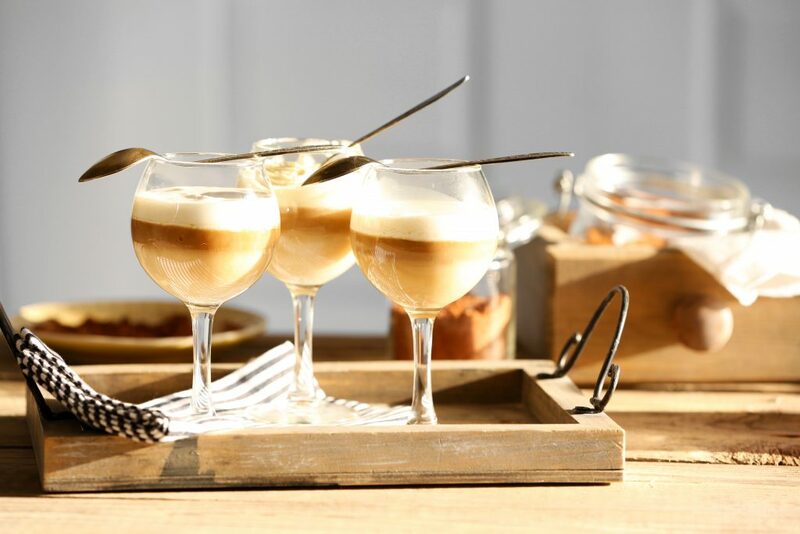 Your basic ingredients are really just sugar and leftover wine, but serve them in glasses, and you have a five-star restaurant quality dessert. This recipe from Food.com gives you the rustic wine jelly without the drama, a pure unadulterated dessert for those who love the classic. It yields 6 to 8 ounces of the sweet jelly without requiring you to put much effort into the preparation. 1. Combine the wine and sugar in the saucepan over medium heat. 2. Stir them together until the sugar melts completely. 3. Remove the mixture from the heat. 4. Pour the pectin, and mix well. 5. Take off any foam that forms on top of the mixture. 6. When it’s clear, with no more foam, pour the mixture into the jars. 7. Seal the jars, and let them cool. 8. Refrigerate the jelly before serving. A contemporary take on the wine jelly, Good Food Channel gives us a vanilla-infused creation that does not shy away from giving off subtle but amazingly combined flavors that play in your tastebuds. 1. In a shallow bowl, soften the gelatine leaves by soaking them in cold water for 5 minutes. 2. Meanwhile, combine the white wine, water, sugar and vanilla pod into the saucepan. 3. Stir the mixture constantly while bringing it to a boil. 4. As soon as the first bubble appears, draw off the heat. 5. Squeeze out the excess water from the gelatine leaves, and add them into the wine mixture. 6. Keep stirring until all the ingredients have completely dissolved. 17. Pour the jelly into a mold or glass containers, and refrigerate them for several hours before serving.